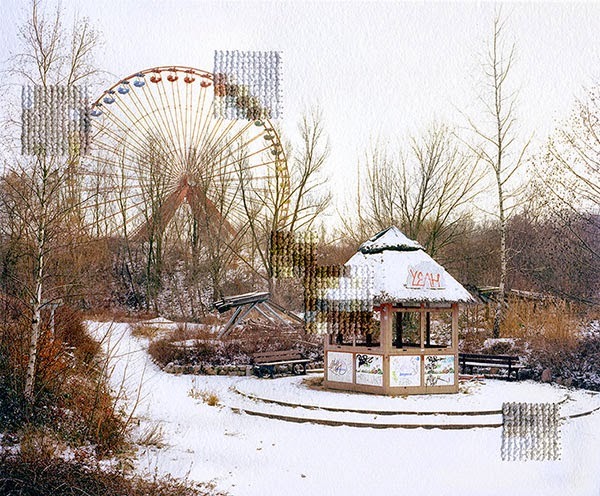 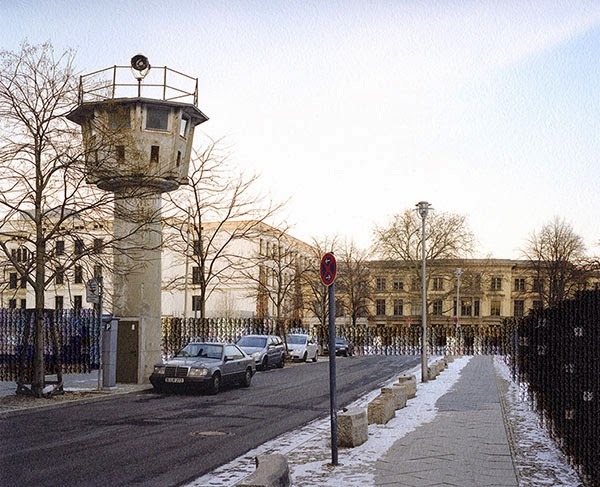 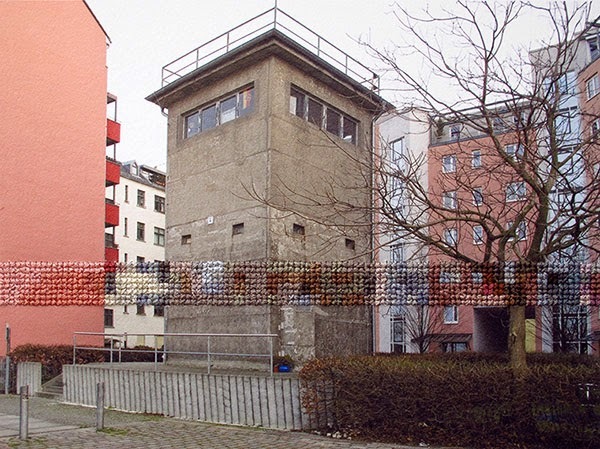 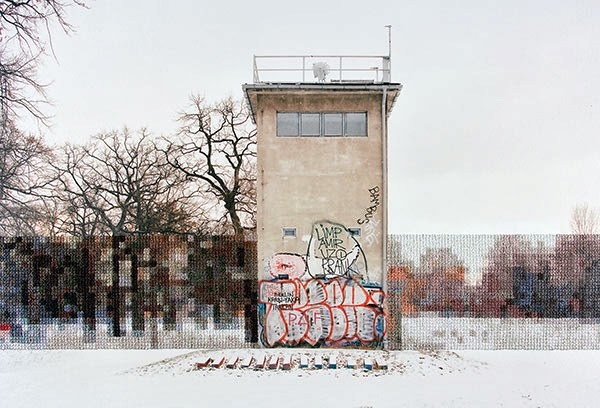 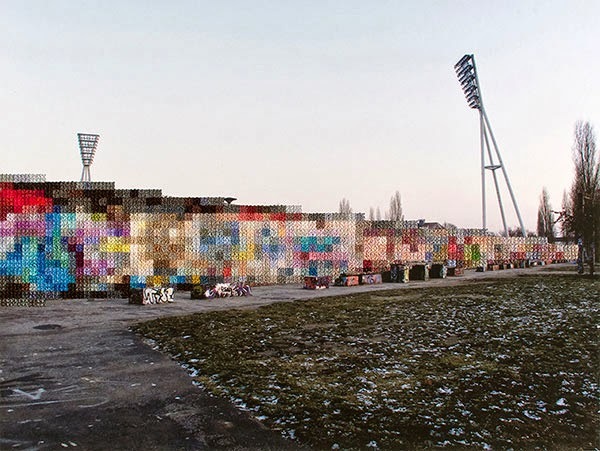 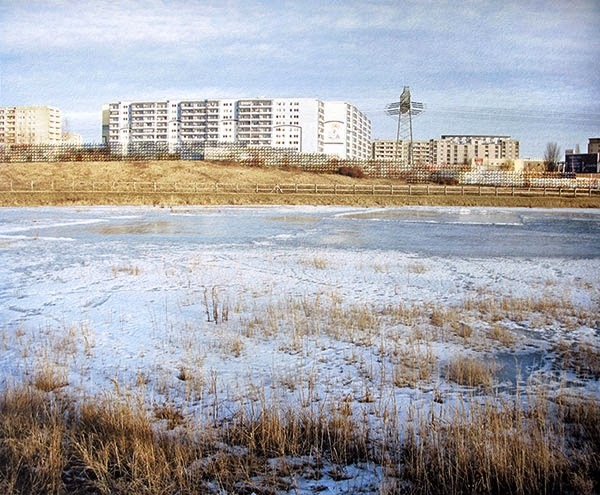 Hand-embroidered sections of photos of Berlin, on the former path of the Berlin wall, forming pixelated representations of the underlying image. 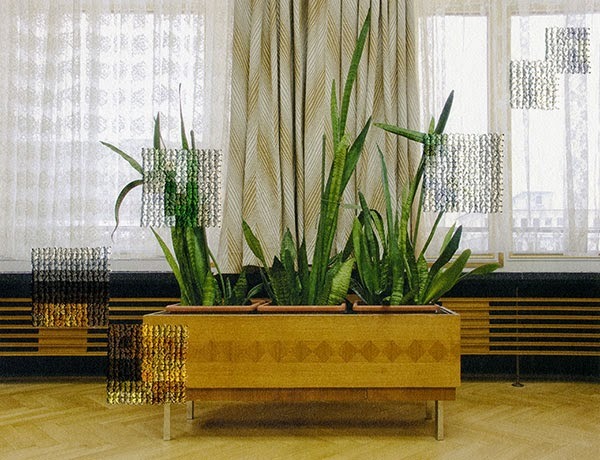 This aspect of the sewing emphasizes the unnatural boundaries created by the wall itself. 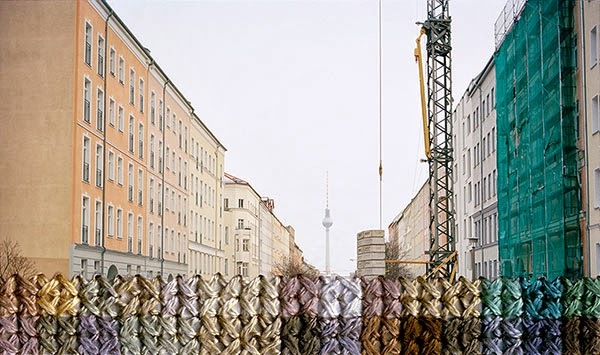 The sewing, which is soft, provides a literal contrast to the concrete of the wall and a metaphorical contrast to its symbolism.